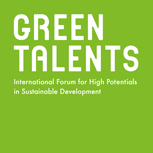 Find out more about the 25 Green Talents 2013 on the following pages. Sohail holds a PhD in City Planning from Seoul National University. Having grown up in India, he became aware of challenges such as congestion, astronomical green house gas emissions and the lack of proper housing and infrastructure in urban areas, and made them his research focus. He uses the development with co-benefits approach to find the most sustainable alternatives for those issues. 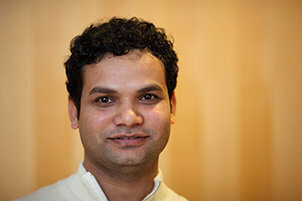 more: Sohail AHMAD, PhD in City Planning (India). 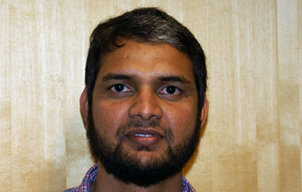 Ram holds a PhD in Forest Remote Sensing and a Master’s degree in Environmental Studies. He has a keen interest in global climate change and is passionate about the environment, biodiversity and sustainable development. more: Ram AVTAR, PhD in Forest Remote Sensing (India). The focus of Heinrich’s research group, called Bulk Carbon Research Group, is the supply of affordable and sustainable energy and water to South African communities. more: Heinrich BADENHORST, PhD Chemical Engineering (South Africa). Ksenija holds a PhD in Architecture from the University of Belgrade and is co-founder of the international volunteer organization EAT - Eco Art & Theory, based in Serbia. more: Ksenija BUNJAK, PhD in Architecture (Serbia). 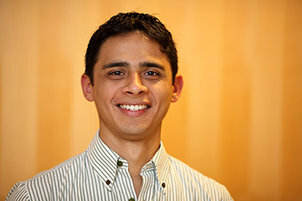 Oscar Gerardo holds an MSc in Mechanical Engineering. He has a keen interest in wind energy and sustainable use of energy sources. His doctoral research focuses on progressive structural damage in wind turbine blades called fatigue. His objective is to develop more accurate and reliable fatigue lifetime prediction methods that contribute to better wind turbine blade designs. more: Oscar Gerardo CASTRO ARDILA, MSc in Mechanical Engineering (Colombia). Dânia holds a PhD in Biological Sciences from UNESP in Brazil, where she currently works as a Post-doctoral Research Fellow at the Department of Analytical Chemistry. Her academic work focuses on the investigation of the bioremediation potential to detoxify sludge from wastewater treatment plants. more: Dânia Elisa CHRISTOFOLETTI MAZZEO, PhD in Biological Sciences (Brazil). Having visited impoverished areas throughout the world, Jae Wook Chung wants to make sustainable water development a reality in less developed communities. 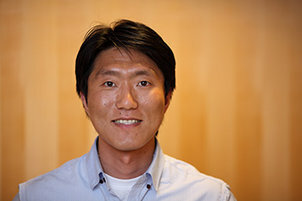 more: Jae Wook CHUNG, PhD Candidate in Water Technology (Korea). 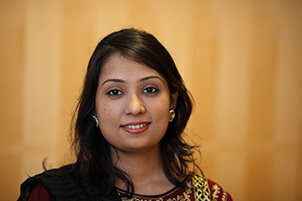 Mita holds a PhD in Materials Chemistry from the University of Alberta and is currently working as Assistant Professor at Dalhousie University, Canada. While her academic work focuses on nanomaterials for renewable energy, she is also interested in solar energy, catalysis, optoelectronics and inorganic chemistry. more: Mita DASOG, PhD in Materials Chemistry (Canada). Hector holds a PhD in Chemical Engineering and is currently working as an Assistant Professor at the Department of Chemical and Petroleum Engineering of the University of Calgary, Canada. more: Hector DE LA HOZ SIEGLER, PhD in Chemical Engineering (Colombia). 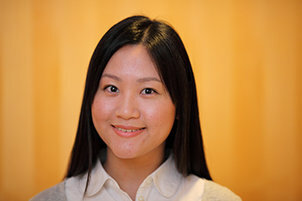 Huihui holds a PhD in Microelectronics and Solid-State Electronics from Wuhan University and is currently working at the School of Physics and Electronics at Hunan University, China. 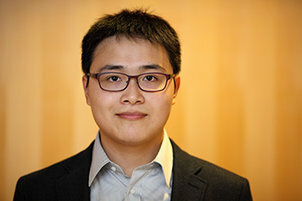 His current research aims to understand and control the carrier transports in low dimensional materials for thermoelectrical and photoelectrical conversion technologies. 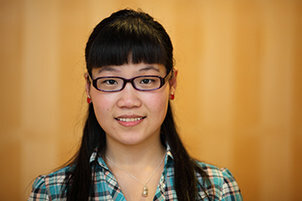 more: Huihui HUANG, PhD in Microelectronics and Solid-State Electronics (China). Asal holds a Master’s degree in Renewable Energy and Sustainable Development from the University of Jordan and is currently working as a project manager for Clean Energy Concepts, Jordan. 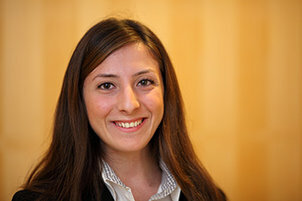 more: Asal IBRAHIM, MSc in Renewable Energy and Sustainable Development (Jordan). Alexandr holds a Master’s degree in Environmental and Natural Resource Economics from the University of Copenhagen, Denmark. In his latest research, he focuses on the use of gamification and economic incentives to stimulate eco-friendly behavior, as well as on the contribution of citizens and organizations to sustainable development and environment protection in cities, regions or countries. 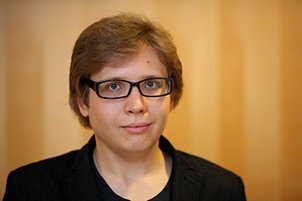 more: Alexandr ISCENCO, MSc in Environmental and Natural Resource Economics (Moldova). 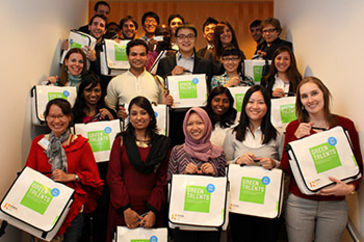 Ali holds a PhD in Sustainability Science from the University of Tokyo, where he is Assistant Professor at the Global Education for Innovation and Leadership Program. As a Post-doctoral Researcher at the Graduate School of Public Policy in Japan he held a keen interest in sustainability science, data-intensive research, ecological economics, and science, technology and society. 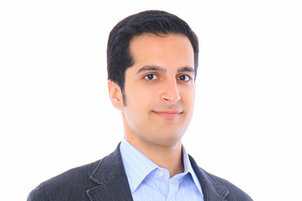 more: Ali KHARRAZI, PhD in Sustainability Science (Japan). 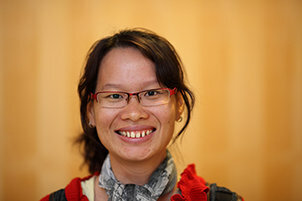 Ngoc Lieu holds a PhD in Chemical Engineering. She has a keen interest in finding a truly renewable solution to the world’s growing energy demand. 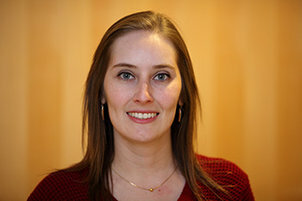 In her PhD research, she focused on the purification of biofuels, which are produced from renewable biomass such as crop residues and waste materials. As a green alternative to fossil fuels, they are becoming future transportation fuels used for cars, buses, airplanes and trains. more: Ngoc Lieu LE, PhD in Chemical Engineering (Vietnam). 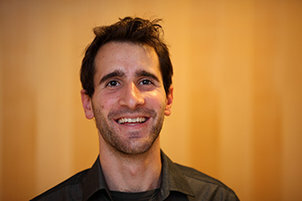 Congying holds an MSc in Ecohydrology from the University of Lodz and the UNESCO-IHE Institute for Water Education. After receiving her Bachelor´s degree in Hydrology and Water Resources Engineering, she worked as a research assistant developing key techniques to assess groundwater overexploitation areas in China. more: Congying LI, MSc in Ecohydrology (China). Ever thought of households being capable of treating their own wastewater and even producing biogas out of it? Jun Wei Lim plans to make this a reality with her project: creating self-sufficient and sustainable households. 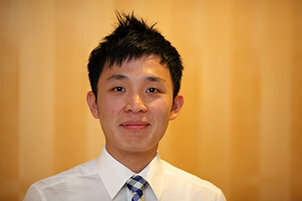 more: Jun Wei LIM, PhD Candidate in Environmental and Water Resources Engineering (Singapore). 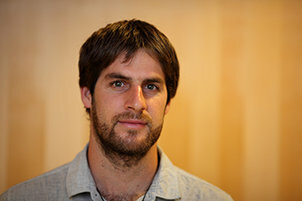 Bruno holds an MPhil in Conservation Leadership from Cambridge University, England. His mission is to bring sustainability debates to a wider mainstream audience through a citizen-led movement that pushes for policy reforms. 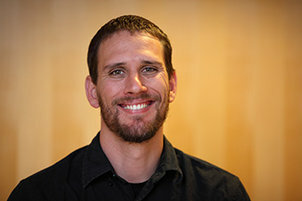 more: Bruno MONTEFERRI, MPhil in Conservation Leadership (Peru). Umarah holds an MSc in Industrial Biotechnology. In her Masters, she focused on microalgae biofuels. Biofuels production from microalgae not only offers a renewable energy source but also provides environmental benefits, via carbon capturing. more: Umarah MUBEEN, MSc in Industrial Biotechnology (Pakistan). Intan holds a PhD from Georgia Institute of Technology, USA. With her current research she aims to figure out the long-term effects of human activities on climate change and the environment by studying natural archives, such as corals and trees. 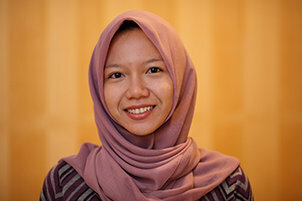 more: Intan Suci NURHATI, PhD in Earth and Atmospheric Sciences (Indonesia). 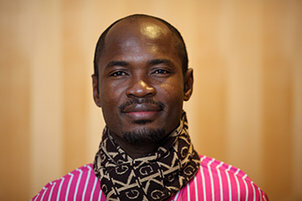 Anthony holds a degree in Agronomy from LAUTECH in Nigeria, a double Master’s degree in Soil Science from the University of Ibadan in Nigeria; and Agronomy from Sardarkrushinagar Agricultural University in India, and a PhD in Agronomy from the Indian Agricultural Research Institute in New Delhi. more: Anthony OYEOGBE, PhD in Agronomy (Nigeria). Shu-Yuan holds three degrees from the National Taiwan University (NTU), a BA in Geography, and a Master’s and PhD in Environmental Engineering. He is currently a research assistant with the Energy Systems Division, Argonne National Laboratory in the USA, and also serves as an Adjunct Research Associate at the Carbon Cycle Research Center at NTU. more: Shu-Yuan PAN, PhD in Environmental Engineering (Taiwan). 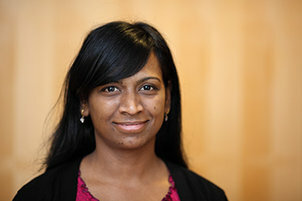 Divya holds a PhD in Environmental Science from the Banaras Hindu University, India. 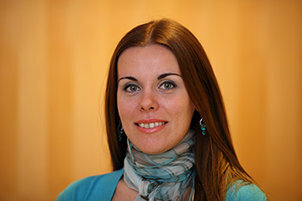 Her research assessed the sustainability of cultivation practices and stigmatises the carbon footprints of different agricultural systems in the Indo-Gagnetic plains. 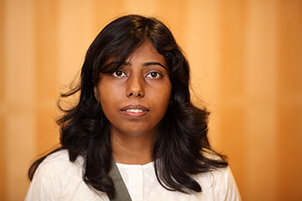 more: Divya PANDEY, PhD in Environmental Science (India). Paulo is an economist, who holds a Master´s degree in Science and Technology Policy from the University of Sussex, UK and a second Master´s degree in Public Policies from the Federal University of Rio de Janeiro, Brazil. 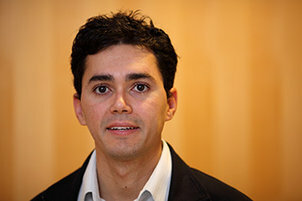 more: Paulo SAVAGET, PhD Candidate in Engineering and Gates Scholar at the University of Cambridge (Brazil). 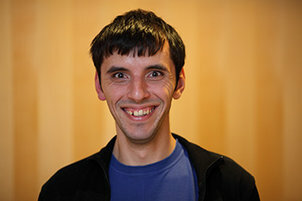 Ivan holds a PhD in Applied Mathematics from Novgorod State University, Russia and is currently working as an Assistant Professor at the Department of Physics at the University of Dayton, USA. His latest research focuses on climate, environmental, statistical and nonlinear physics. more: Ivan SUDAKOV, PhD in Applied Mathematics (USA). With a clear goal in mind, Tayebeh Zinati Shoa is looking to use her knowledge and creativity to improve and help to further sustainability in an often overlooked, but important, sector: Water Resource Management. 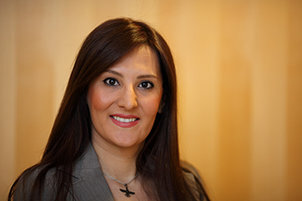 more: Tayebeh ZINATI SHOA, MA Water Resource Engineering (Iran).